Hello and Welcome to our preview for Delhi Capitals vs Chennai Super Kings match. 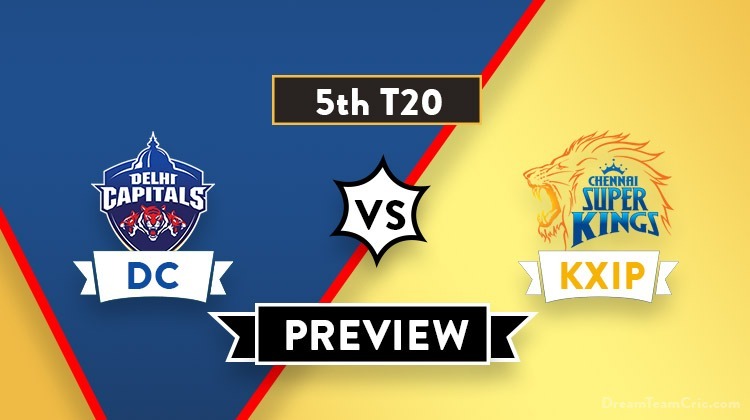 We are covering DC vs CSK Dream11 Team Prediction, Preview and Probable Playing XI for the T20 match. The match is to be played at Feroz Shah Kotla Stadium in Delhi. Chennai Super Kings won their inaugural match of IPL’19 defeating Royal Challengers Bangalore on the tricky pitch of Chepauk. The spin trio of Harbhajan-Tahir-Jadeja along with brilliant captaincy from MS Dhoni ensured a comfortable victory for the hosts. Bowling first, They restricted RCB at a low total of 70 with Harbhajan and Tahir taking three wicket-haul while Jadeja took two scalps. Ambati Rayudu was the top scorer scoring 28 runs to successfully chase the target. Chennai Super Kings will hope to continue the momentum and will put similar unison effort to defeat Delhi Capitals. Delhi Capitals achieved a thumping victory over Mumbai Indians at Wankhede to put an early impression in the tournament. Batting first, Shikhar Dhawan and Colin Ingram played steady knocks of 43 and 47 respectively after losing initial wickets but a blistering knock of 78* runs from 27 balls by Rishabh Pant led them to a total of 213. Defending the target, Kagiso Rabada and Ishant Sharma bowled good spells taking two wickets each to ensure a 37-run win for Delhi. They will be determined to capitalise on early momentum and make IPL’19 a breakthrough season for them. 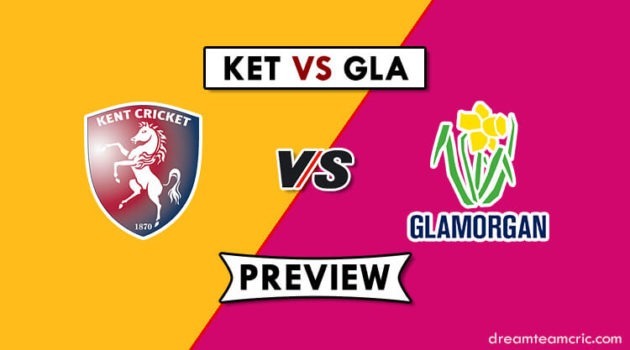 However, They will have to put their best effort to defeat Mighty Chennai Super Kings. DC VS CSK, 5th T20, Indian Premier League, 2019. Feroz Shah Kotla Stadium, New Delhi. Mahendra Singh Dhoni (c), Suresh Raina, Shane Watson, Ambati Rayudu, Kedhar Jadhav, Dhruv Shorey, Ruturaj Gaikwad, Sam Billings, David Willey, Ravindra Jadeja, Dwayne Bravo, Faf du Plessis, Karn Sharma, Harbhajan Singh, Imran Tahir, Mitchell Santner, Deepak Chahar, Shardul Thakur, Mohit Sharma, Monu Kumar, KM Asif, Murali Vijay, Chaitanya Bishnoi, N Jagadeesan. Allrounder Chris Morris has not yet joined the team. Sandeep Lamichhane can replace Keemo Paul in the playing XI. If such happens, Then Harshal Patel is likely to get the nod over Axar Patel. There is also a chance of Amit Mishra getting a chance in place of Axar Patel. Shikhar Dhawan and Prithvi Shaw will open the innings. Shreyas Iyer, Colin Ingram and Rishabh Pant will follow them. Keemo Paul, Axar Patel and Rahul Tewatia will play the role of an allrounder. K Rabada can also contribute with the bat. Axar Patel/Amit Mishra and Rahul Tewatia will lead the spin attack while Kagiso Rabada, Trent Boult and Ishant Sharma will be the key pacers. They will miss the services of Lungi Ngidi who has suffered an injury and is ruled out of season. His replacement is not yet announced. In the last match, They played only three overseas players. Faf Du Plessis or Sam Billings can replace Shardul Thakur in the playing XI. Faf will open the innings while Billings will play as a finisher if selected in playing XI. Chances of Faf are high. A Rayudu and Shane Watson can open the innings. Suresh Raina, Mahendra Singh Dhoni and Kedar Jadhav will follow them. Dwayne Bravo and Ravindra Jadeja will play the role of an allrounder. H Singh and Deepak Chahar can also contribute with the bat. Dwayne Bravo will lead the pace attack along with Deepak Chahar and Shardul Thakur while Ravindra Jadeja and Imran Tahir will be the key spinners along with Harbhajan Singh. Kedar Jadhav can support them. Shikhar Dhawan, P Shaw, S Iyer (c), Colin Ingram, Rishabh Pant (wk), Keemo Paul, Axar Patel, Amit Mishra, Rahul Tewatia, K Rabada, Ishant Sharma. Shane Watson, Ambati Rayudu, Suresh Raina, Mahendra Singh Dhoni (c/wk), Kedar Jadhav, Ravindra Jadeja, Dwayne Bravo, Deepak Chahar, Harbhajan Singh, Shardul Thakur, Imran Tahir. C and Vc Choices: MS Dhoni, Suresh Raina, A Rayudu, S Watson, R Pant, S Dhawan, S Iyer. 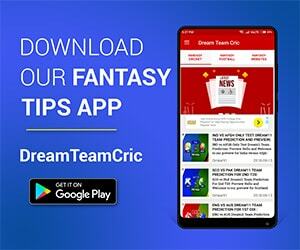 If you liked DC vs CSK Dream11 prediction, then follow us on Twitter for Latest Cricket News and Grand League teams.